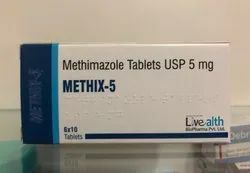 Pioneers in the industry, we offer conjugated estrogens tablets 0.625mg, lamivudine and zidovudine tablets,usp, levothyroxine sodium tablets 50mcg, zidovudine 100 mg tablets usp, abiraterone acetate tablets 250 mg and methimazole tablets 5 mg from India. 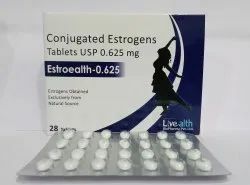 Conjugated Estrogens Tablets 0.625mg and 1.25mg are used after menopause to reduce moderate to severe hot flashes. This medication is a female hormone. It is used by women to help reduce symptoms of menopause (such as hot flashes, vaginal dryness). The mainstays for decreasing the risk of postmenopausal osteoporosis are weight bearing exercise, adequate calcium and vitamin D intake, and when indicated, pharmacologic therapy. Postmenopausal women require an average of 1500 mg/day of elemental calcium. Therefore, when not contraindicated, calcium supplementation maybe helpful for women with suboptimal dietary intake. Vitamin D supplementation of 400-800 IU/day may also be required to ensure adequate daily intake in postmenopausal women. When estrogen is prescribed for a postmenopausal woman with a uterus, progestin should also be initiated to reduce the risk of endometrial cancer. A woman without a uterus does not need progestin. Use of estrogen, alone or in combination with a progestin, should be with the lowest effective dose and for the shortest duration consistent with treatment goals and risks for the individual woman. Patients should be reevaluated periodically as clinically appropriate (for example at 3-month to 6-month intervals) to determine if treatment is still necessary (see BOXED WARNINGS). For women with a uterus, adequate diagnostic measures, such as endometrial sampling, when indicated, should be undertaken to rule out malignancy in cases of undiagnosed persistent or recurring abnormal vaginal bleeding. 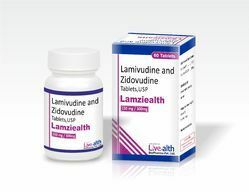 The combination of lamivudine and zidovudine is used along with other medications to treat human immunodeficiency virus (HIV) infection. Lamivudine and zidovudine are in a class of medications called nucleoside reverse transcriptase inhibitors (NRTIs). They work by decreasing the amount of HIV in the blood. Packaging Details: 60 Film-Coated tablets in a plastic jar in a printed carton. Levothyroxine sodium Tablets 50mcg Levothyroxine sodium is a prescription medication that can help treat hypothyroidism. Levothyroxine sodium can help restore thyroid hormone balance. It is a man-made thyroid hormone identical to thyroxine, the hormone that's naturally made by the thyroid gland. Levothyroxine is a replacement for a hormone normally produced by your thyroid gland to regulate the body's energy and metabolism. Levothyroxine is given when the thyroid does not produce enough of this hormone on its own. 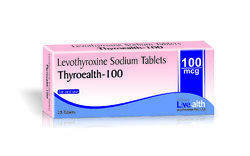 Levothyroxine treats hypothyroidism (low thyroid hormone). It is also used to treat or prevent goiter (enlarged thyroid gland), which can be caused by hormone imbalances, radiation treatment, surgery, or cancer Available in 25mcg , 50MCG and 100MCG strengths. This lowers your chance of getting HIV complications (such as new infections, cancer) and improves your quality of life. 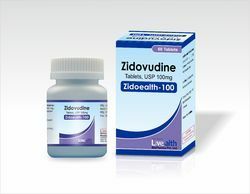 Zidovudine belongs to a class of drugs known as nucleoside reverse transcriptase inhibitors-NRTIs. Zidovudine is used in pregnant women to prevent passing the HIV virus to the unborn baby. 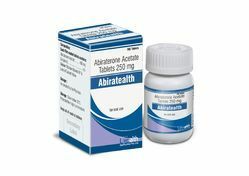 Abiraterone 250 mg Tablets used for treating a certain type of prostate cancer that has spread to other parts of the body. AA 250 mg Tablets is used along with another medicine (prednisone). This helps to prevent the growth of certain tumors that need these hormones to grow. 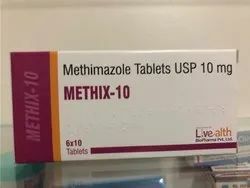 Methimazole prevents the thyroid gland from producing too much thyroid hormone.Methimazole is used to treat hyperthyroidism (overactive thyroid). It is also used before thyroid surgery or radioactive iodine treatment. Packing: 6 x 10 Tablets in a printed carton. Packaging Details: 6 x 10 Tablets in a printed carton. 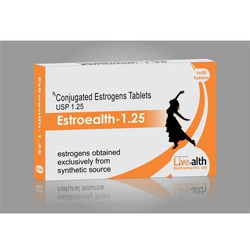 Conjugated Estrogens Tablets 1.25mg are used after menopause to reduce moderate to severe hot flashes. This medication is a female hormone. It is used by women to help reduce symptoms of menopause (such as hot flashes, vaginal dryness). Treatment of moderate to severe vasomotor symptoms due to menopause. Treatment of moderate to severe symptoms of vulvar and vaginal atrophy due to menopause. Postmenopausal women require an average of 1500 mg/day of elemental calcium. Therefore, when not contraindicated, calcium supplementation maybe helpful for women with suboptimal dietary intake. Vitamin D supplementation of 400-800 IU/day may also be required to ensure adequate daily intake in postmenopausal women. Levothyroxine sodium Tablets 25 MCG Levothyroxine sodium is a prescription medication that can help treat hypothyroidism. levothyroxine sodium can help restore thyroid hormone balance. 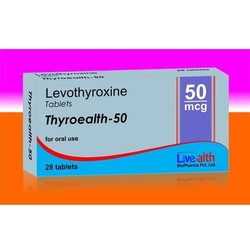 It is a man-made thyroid hormone identical to thyroxine, the hormone that's naturally made by the thyroid gland.Levothyroxine is a replacement for a hormone normally produced by your thyroid gland to regulate the body's energy and metabolism. Levothyroxine is given when the thyroid does not produce enough of this hormone on its ownLevothyroxine treats hypothyroidism (low thyroid hormone). It is also used to treat or prevent goiter (enlarged thyroid gland), which can be caused by hormone imbalances, radiation treatment, surgery, or cancer. Available in 25 MCG, 50MCG and 100MCG strengths. 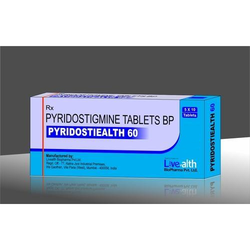 Pyridostigmine Bromide Tablets Pyridostigmine bromide is a prescription medicine used to treat myasthenia gravis. It is also used to restore muscle function after surgery. 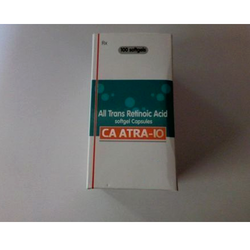 CA Atra 10 Capsule is an anti-cancer ("antineoplastic" or "cytotoxic") chemotherapy drug. ATRA is classified as a "retinoid." (For more detail, see "How ATRA Works" section below). ATRA is used to treat acute promyelocytic leukemia (APL, APML). 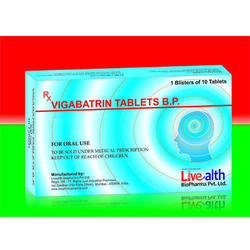 Vigabatrin Tablets are Adjunctive therapy in patients ≥10yrs of age with refractory complex partial seizures (CPS) who have inadequately responded to several alternative treatments and for whom the potential benefits outweigh the risk of vision loss. Not a first line agent for CPS. Looking for “Life Saving Tablets”?